Most people’s jaw drop to the floor when they hear how much a guide dog costs. Wowsers! That’s a huge range and hella expensive! So lets break this down a little further and see if we can dig into what and why it costs so much for a guide dog. First, lets take a look at some of the guide dog schools in the United States and see if we can get a better idea of what it costs to train a guide dog. Our little puppy in training someday hopes to be a Guide Dog. I’m sure if you sat down with the accounting department at one of these guide dog schools they’d have a myriad of other expenses related to a guide dog team. Most of these schools offer guide dogs to individuals at no charge! 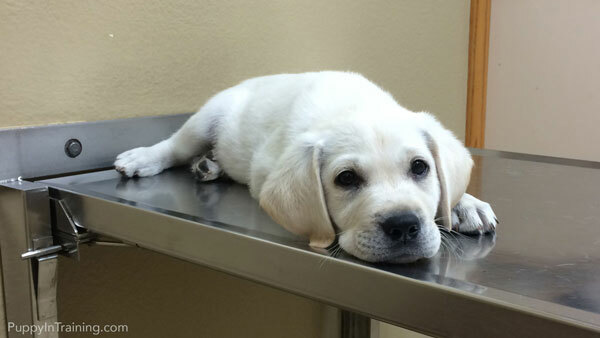 Ongoing puppy costs can be expensive. Especially considering vet bills and lifetime cost. $900-$1,200 annually is similar to the range you’d spend on a pet dog. Dog Toys – there are so many toys on the market, but one of our favorite durable dog toys is the Nylabone Dura Chew – just don’t let your dog drop it on your foot…ouch! Check out our new puppy checklist for a comprehensive list of dog products you’ll need for a new pup. Grooming including bathing, nail trimming, brushing, etc. Those are some of the expenses off the top of my head. I’m sure there are a few others. Please chime in with a comment if you think of something I’m missing so I can add it to the list. We put together a more detailed list of our estimate for a lifetime cost of a Labrador Retriever puppy which included some annual costs based on experiences with our Lab puppy, Archer. 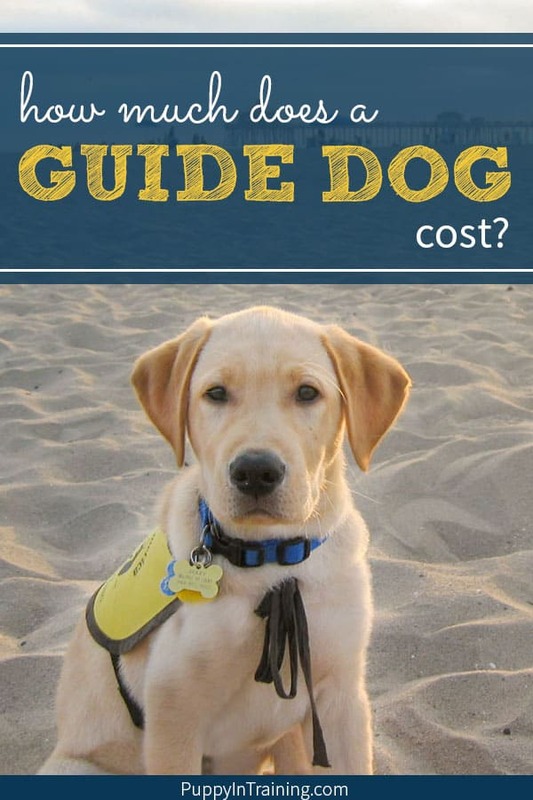 What is the total cost for a Guide Dog? That total number does not include cost during retirement years and also no major medical expenses. 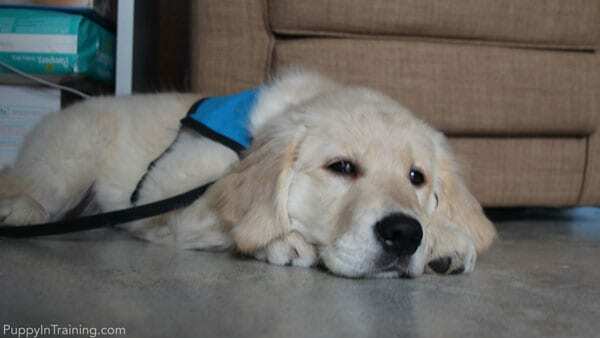 MORE INFORMATION: Guide Dogs learn tasks to help the blind and visually impaired. There are many other types of dogs that aid individuals with disabilities. Have you ever wondered how much it costs to train other types of service dogs? This may be more than you ever wanted to know about how much a guide dogs costs, what expenses are associated with a guide dog team, and how much ongoing costs are for a guide dog, but for an analytical nerd like me it’s interesting to see the details. I’m happy to say that as a volunteer puppy raiser I get to be a small part in the process of keeping costs down so guide dog schools can help more blind and visually impaired individuals regain their independence. Does just under $60K for a guide dog sound like a lot of money? As a puppy raiser for 10+ years I can tell you that selective breeding, constant and specialized training for a puppy from birth until 2 1/2 years old can be an expensive proposition. $40K-60K falls well inside my expectations for the cost of a guide dog team. If you have any other questions (or answers) about the cost of a guide dog leave us a comment in the section below. UPDATE: Over the past 5+ years we’ve been trying to do our part to raise, train, and place service dogs with individuals in need at no charge. Check out our post on how to sponsor a service dog to learn more about how you can help with our mission. Wow! I never really thought about the cost of raising a guide dog, just the cost (or lack there of) of the person receiving the dog. So interesting! Raising and training a guide dog is not cheap. Thank you to everyone who donates time, resources, money, etc to help these organizations and the dogs who are changing people’s lives! Is this how much your dogs cost too? What is the cost of preparing a leader dog? The entire process until recipient receives the puppy dog that is already trained. Are you talking about a leader dog for the blind? I believe that would be the same as a guide dog for the blind.